The International Union of Geodesy and Geophysics (IUGG) is a non-governmental, scientific organization, established in 1919. 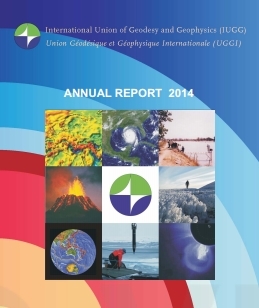 IUGG is one of the 32 scientific Unions presently grouped within the International Council for Science (ICSU). IUGG is dedicated to advancing, promoting, and communicating knowledge of the Earth system (physical, chemical, and mathematical), its environment in space and the dynamical processes causing change. These scientific studies include the shape of the Earth, its gravitational and magnetic fields, the dynamics of the Earth as a whole and of its component parts, the Earth's internal structure, composition and tectonics, earthquakes and elastic wave propagation, the generation of magmas, volcanism and rock formation, the hydrological cycle including snow and ice, all aspects of the oceans, the atmosphere, ionosphere, magnetosphere and solar-terrestrial relations, and analogous problems associated with the Moon and other planets. IUGG encourages the application of this knowledge to societal needs, such as mineral resources, mitigation of natural hazards and environmental preservation. Through its constituent Associations, Commissions, and services, IUGG convenes international assemblies and workshops, undertakes research, assembles observations, gains insights, coordinates activities, liaises with other scientific bodies, plays an advocacy role, contributes to education, and works to expand capabilities and participation worldwide.